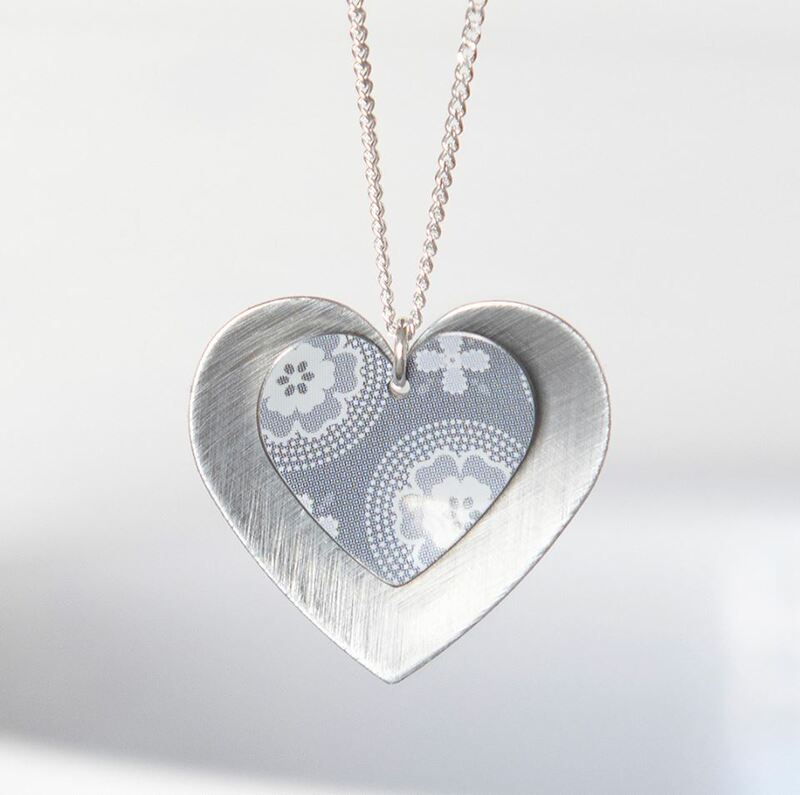 A brand new necklace design, featuring a Scandi Grey print tin heart nestling in a brushed aluminium larger heart. 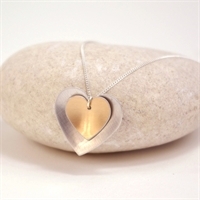 Outer heart measures 22mm x 22mm. 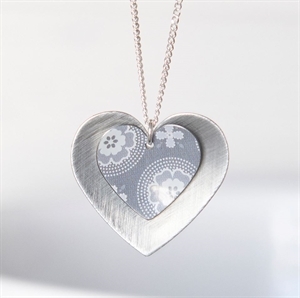 Inner heart measures 15mm x 15mm. Available in two styles - Copper on Alu (left) or Alu on Copper (right).